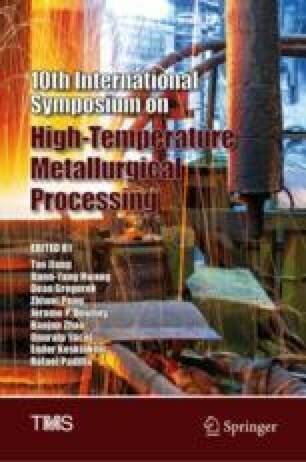 In this paper, research on dezincification in ironmaking and steelmaking processes was carried out. Ashes of ironmaking and steelmaking, amylum and bentonite were used as the experimental materials. Bentonite has no significant effect on quality of green pellet by pelletizing process; pressing pressure should be controlled at 10 MPa while using press machine to produce cold-bonded pellet; falling strength of cold-bonded pellet would have a sharp increase while adding a little sodium hydroxide in amylum; ZnO will be removed at a high temperature with carbon contained in experimental materials, but removal rate decreases with the increase of CaCl2; less than 30% of ZnO would be removed by adding calcium chloride without carbon.